The Art of Āyurveda Lifestyle – Module One Personal Sādhana Workshop is limited to a maximum of five students to allow for a personalised approach and in-depth transmission between teacher and student. 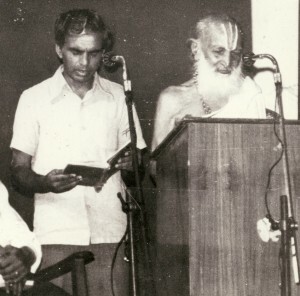 This weekend workshop introduces the student to the primary principles and essential teachings from Āyurveda and how they were applied by T Krishnamacharya and TKV Desikachar. Based in the Cotswolds, it is open to all except complete beginners and offers an opportunity for any Yoga Student, teacher or trainee teacher from any Yoga background to develop and deepen their personal Yoga practice and study. 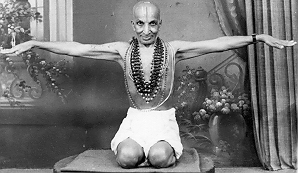 It is presented with the aim of reflecting the fundamentals of Śrī T Krishnamacharya’s teaching, namely, transmission occurs through the direct experience of the teacher with the students personal practice and study Sādhana. It offers an in-depth approach to Āyurveda texts, through an experiential appreciation of the core teachings that underpin the Art of Āyurveda Lifestyle, either for personal development or, if relevant, to enhance professional skills. It is also a prerequisite to further work in the The Art of Āyurveda Lifestyle – Module Two Course. 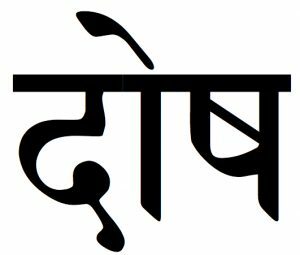 Lightness or Sattva is not always correct…..
“Lightness or Sattva is not always correct. The ancient people introduced holding of the breath to stop…..
“The act of establishing contact with the external world is called Yoga. It is continuous, inevitable, swiftly changing. Yoga is a basic fact of life. However it is the quality of the relationship that leads to a healthy life and well being or otherwise. is reflected in the flow of what is called Prāṇa Śakti. This is why we recite Mantra to these two stars…..
whilst the light of the sun gets to the bottom of all impurities. 108 Study Path Pointers – 18 – Our relationship with Food can be too little, too much, or wrong…..
Our relationship with Food can be too little, too much, or wrong. will fail to nourish and even disturb the system. The same could be said for Yoga Practice. 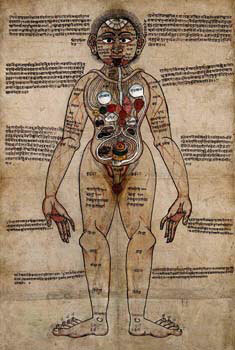 The phenomena of body energies and their emanating energy field are found recorded within most Asiatic traditions. Both Chinese and Indian thought have a rich textual history of bio-energy, its function and effects of its malfunction. 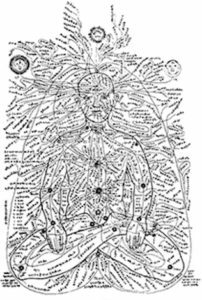 In each of these traditions a system of medicine evolved aimed at enhancing and sustaining the flow of Ch’i or Prāṇa within the individual and much interest is now being shown in the West in Traditional Chinese and Indian medicine. Bṛṃhaṇa Kriyā and Laṅghana Kriyā as Expansive and Contractive potentials…..
Bṛṃhaṇa Kriyā and Laṅghana Kriyā as expansive and contractive activities are two potentials actualised through the Breath and Āsana. 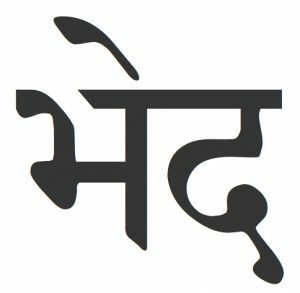 Within the practice of Āsana, Mudrā and Prāṇāyāma they are actualised through an understanding of the primary principles that inform Haṭha Yoga and Āyurveda. The alchemical process underpinning this understanding is the relationship between the two primary principles of Prāṇa and Agni in order to influence Haṭha Yoga concepts such as Prāṇa, Apāna, Nāḍī, Cakra, Agni and Kuṇḍalinī. In terms of Bṛṃhaṇa Kriyā and Laṅghana Kriyā, the viniyoga of Bṛṃhaṇa affects a dispersion of Agni from the core to the periphery and the viniyoga of Laṅghana affects a withdrawal of Agni from the periphery to the core. 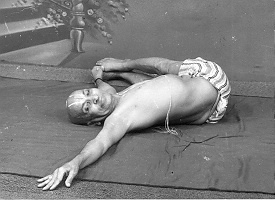 Understanding the application of this particular process facilitates access, through the Merudaṇḍa (spine), Prāṇa and Agni, to energising, cleansing and aligning potentials in the practice of Āsana, Mudrā and Prāṇāyāma. 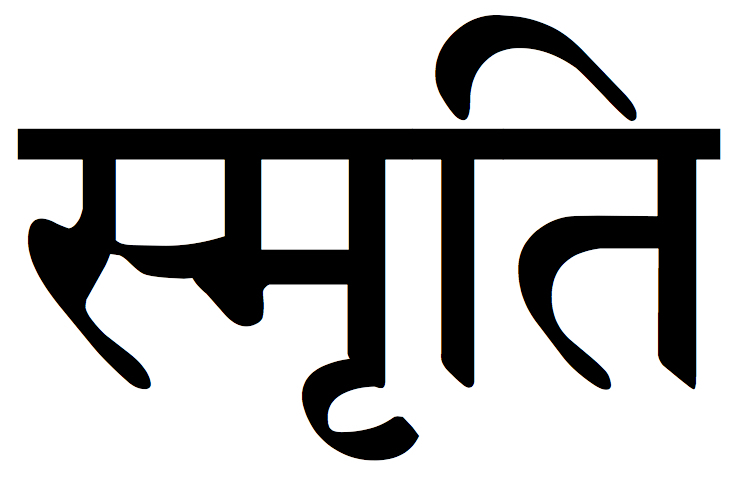 “Svabhāva (innate disposition) – Nature of a person. muscular pains for no reason, changes in temperature. This is why Āyurveda divides humans into 3 types. 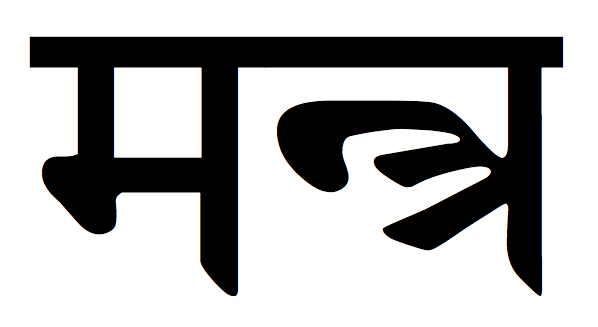 Approximately Pitta–Sattva, Kapha–Tamas, Vāta–Rajas Guṇa. but also how food affects the individual. Heavy in the morning, etc. We must respect the practice involving the body……. “We must respect the practice involving the body. Latitude, longtitude, or place at which a person is practicing or thinking. The body of a man or a woman. Masculine or feminine. “One important thing is food. Different combinations have different effects on the body. When we work with Āsana and Prāṇāyāma we need to consider which foods to take. Your mind is according to your food. The type of food you take influences your mind. “Your mind is a product of your food, memory is linked to food. My stability, my confidence is linked to food. All these facts are mentioned in the texts. For these reasons I said that food is very important and becomes me. – TKV Desikachar from an interview in the Journal Viniyoga Italia on Yoga and Well Being. As is the food in front of you, so is the mind behind you. Food will either sustain the body or eat it. 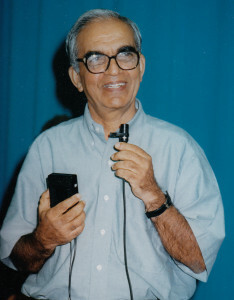 One other study area that I was privileged to be able to experience alongside my many visits to study Yoga Practice Techniques and Associated texts in Chennai with my teacher TKV Desikachar, within the intimacy and vitality of private lessons, was that of Āyurveda and its application within Yoga. “In Āyurveda, it gives certain behaviour by which we can stay well. 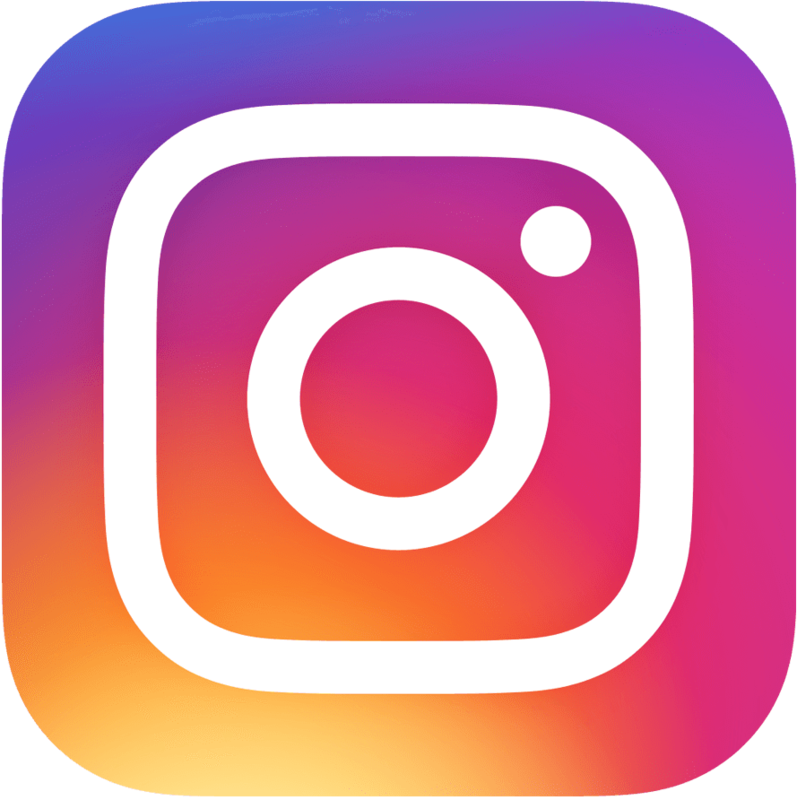 If a person follows the following he will freer of sickness. Regularly, systematically he eats, rests and exercises adequately. 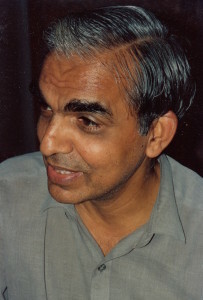 Thus during my many visits to India, between 1979 and 2002, my work in Yoga was complemented by the study of Āyurveda constitutional diagnosis and prognosis, along with Nādī Parīkṣā or pulse diagnosis and the application skills of Āyurveda, into Yoga practice and lifestyle, according to the teachings of T Krishnmacharya within Yoga Rakṣaṇa (lifestyle support) or Yoga Cikitsā (therapeutic recovery) situations. Both in amount and quality. What is the relationship between Yoga and Āyurveda? First of all, we believe that the same master gave us Āyurveda and Yoga: Patañjali. We worship Patañjali remembering him as the person who gave us Āyurveda for the body and Yoga for the mind. Body and mind are so interlinked that you cannot really separate them. Since Āyurveda is a complete system, they talk also about Yoga. 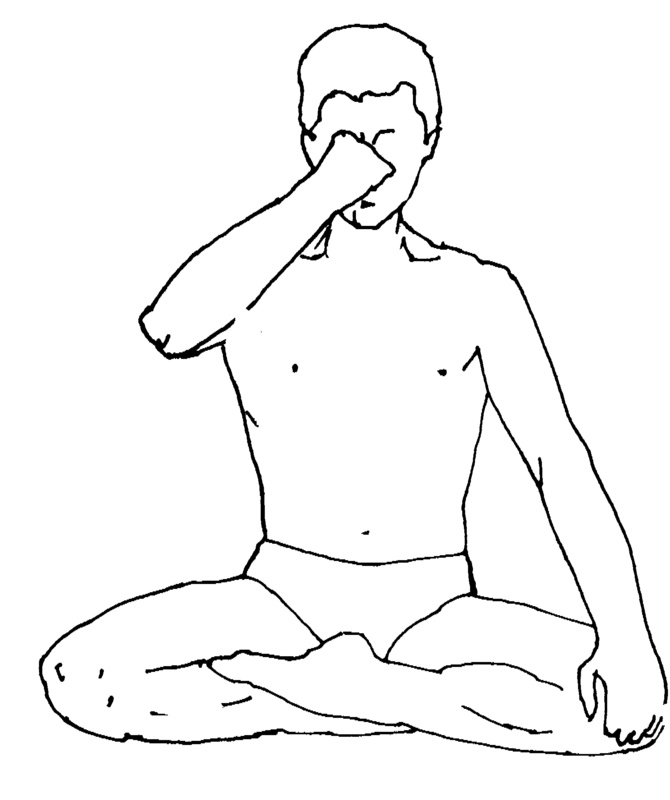 Yoga is defined in Āyurveda. And the language of Yoga is such that a person cannot understand the Yoga texts without understanding the concepts of Āyurveda. At least in theory, these sciences go very well together. 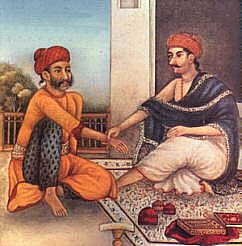 However, in India, the treatment given to Yoga in the Āyurveda University is very scarce, it is not even worth mentioning. So, in reality, Āyurveda people are not familiar with Yoga as much as they should be. The only exception was my father. He knew both, that is why he was able to mix both systems, according to the need. 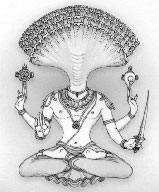 What I would say is, what Patañjali gave for the mind through Yoga, he gave for the body through Āyurveda. – Extract from an interview in the Journal Viniyoga Italia on Yoga and Well Being. What is the relationship between diet and health? It is a big subject. Our system has to be nourished. Food or Annam is needed. There is the Annamaya, we have a body which has to be nourished. The food we need and eat is Annam. 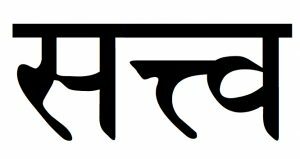 This Annam is a very interesting Saṃskṛta word. Annam is that which will nourish you or that which will eat you. The Annam or food must nourish me, it should not consume me. For this reason there is given so much importance to Annam that nourishes and Annam that will consume. How is Āyurveda linked to Cikitsā or the therapeutic application of Yoga? “There is a lot of difference. As far as Yoga is concerned, we are concerned with the personality of the person, the mental aspect and the higher aspirations of the student. That is why Yoga has a lot to offer. For the body Āyurveda is the solution. A good combination would be Āyurveda and Yoga. My father used to do that. He would teach Āsana practice, or Prāṇāyāma or meditation and he would talk about diet and he would also give some Āyurveda medicine. Fasting is not eating between meals. “The practice of Yoga is linked to the Nāḍī, or pulse, so he always thinks that the pulse rate tells whether you have done a good practice or a bad practice. He suggests that our life may be measured by the number of beats to the heart, and if somebody wants to live long and well, he has to reduce the rate of the heart beat. given at Zinal, Switzerland 1981. Question: What were his favourite foods? Response: You might be surprised that he relished good food. He was from Andhra and so, relished food that was hot and spicy. He was very fond of sweets and would eat them in great quantities. With all this he would always have ghee. Ghee formed a very important part of his diet and whatever the food, it would be accompanied with large quantities of ghee. What is the viniyoga of Yoga?